They proved to the world that they were not just a garage band when their performance at the Monterey Pop Festival secured them a record contract. 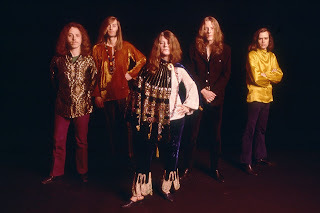 Big Brother and the Holding Company, sporting the female vocals of Janis Joplin, recorded two albums before Joplin went solo with a more successful career, but it was their second (and final) album that reached a milestone: topping the Billboard album chart for eight consecutive weeks. 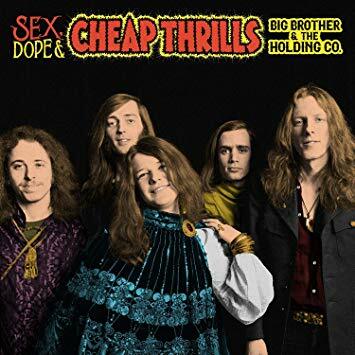 Cheap Thrills was released in August of 1968, which means the album just celebrated the 50th anniversary. Now, five decades later, a two-CD set featuring 25 unreleased tracks is released and just in time for Christmas. Sure, you can buy a CD of Cheap Thrills for just a few bucks; it has been re-released multiple times. But for fans who thought they heard it all, this new set is spectacular. Many times alternate tracks are released alongside the original album, in the hopes of intriguing a new generation of listeners. I would like to state that if you do not have the original 1968 Cheap Thrills, you may want to get it. This two-disc set does not include the original album, just alternate takes. Among the earliest surviving recordings of Janis Joplin are amateur performances of her singing gospel songs in a coffee house. I kid you not. But as one revisits her four albums, you can clearly tell she sported a love for jazz and blues, including inspiration from the vocals of Billie Holiday. And when Joplin went off on her own without Big Brother and the Holding Company, her work was a beautiful cross between jazz and blues. (I Got Dem Ol' Kozmic Blues Again, Mama was the first of her two solo albums without Big Brother, and perhaps her best album -- ever.) Sadly, her recording career was cut short after succumbing from a heroin overdose at the age of 27. As a result, new recordings are rarely made available. This two-disc set is more of a jazz reissue, and like any talented artist that strives to improve themselves, she never sang the same song the same way twice. There are renditions of the classic songs we grew up with that are raw and unrefined -- a reminder that they truly were a garage band. There is laughing between takes but you can feel the strain between Joplin and producer John Simon. Listen hard and you will feel the tension. But regardless, you could tell Joplin never cared if they were out of tune. She knew they were striving for perfection. 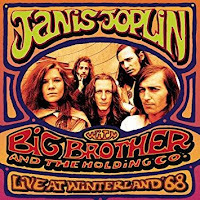 Among the highlights is her rendition of "Ball and Chain" from the Winterland Ballroom in San Francisco in April of 1968, psych-blues as only Joplin could sing it. Also included is a recording of "Harry," which originally opened the second side of the album, but removed at the request of the President of CBS Records. It is a crazy, abstract, free-jazz-freak-out that the band sometimes opened or closed with during their live performances. Now you can hear that recording. 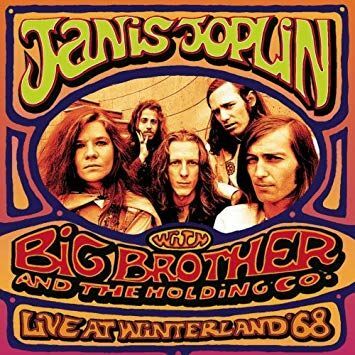 If you are not a Joplin fan, this two-disc set may not be for you. But as a time capsule embodiment of the San Francisco, psychedelic counter-culture of the 1960s, look no further.